Once you start working on Adderall, can you ever get by without it? Two years ago, Colin hit what many would consider the brogrammer jackpot. The startup he was working for was purchased by Apple, which decided to retain all the newly acquired employees. At just 25, he found himself earning a six-figure salary as a software engineer for the most lucrative, prestigious technology company in history. But soon, Colin’s motivation and productivity plummeted. His interest in work had been waning for months, and the acquisition only heightened his apathy. Gone was the happy-go-lucky startup culture; in its place was a rigid one with tighter deadlines and shorter release cycles. He’d waste hours at his desk daydreaming and doodling. Some days he’d sneak away from Apple’s Cupertino headquarters so he could read a book or play video games in the startup’s abandoned old office. He confessed to his boss he feared he’d soon be fired, and his boss’s reaction was less than reassuring. “He consoled me by saying, ‘Don’t worry about it. Big companies don’t like to fire people because they’re afraid of lawsuits,’” Colin remembers. The gap between young adults’ expectations and the reality of their day jobs has created a new kind of white-collar frustration: The failure to find meaning in work. And some young, unhappy corporate drones of America are solving it with ADD medications. At least that’s what Colin did. Eight months after his near meltdown, not only is he still on staff at Apple, but he has earned two raises, been promoted to project lead (he’s now in charge of six employees) and received rave performance reviews from the very boss whom once acknowledged his slacking. The solution to Colin’s professional malaise was Vyvanse, a prescription drug designed to treat people with attention deficit disorder (ADD) and attention deficit hyperactive disorder (ADHD). 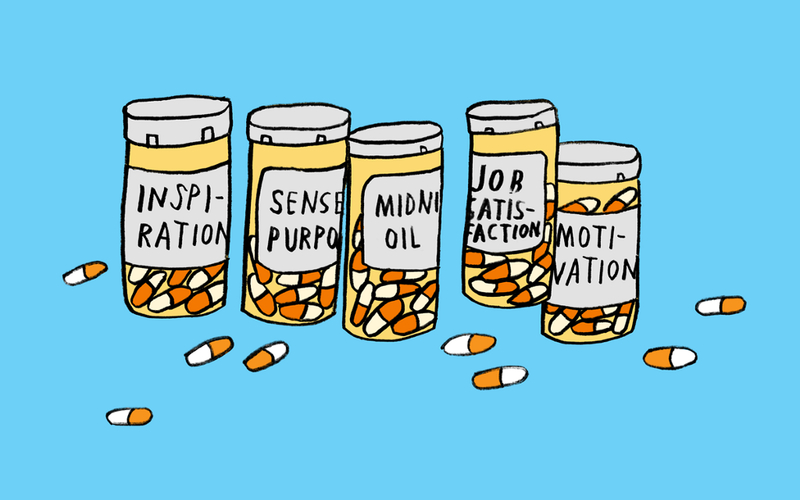 It turns out that, for some, ADD meds such as Adderall and Vyvanse are more than a means to working harder for longer; it imbues their otherwise mundane work with purpose. The drug they took in college to stay up late and study, or maybe to fuel a few extra hours of partying, has become means to emotional fulfillment in the workplace. Like other men I interviewed about the topic, Colin believed his ADD medication was integral to his professional success. It allowed them to work ungodly hours and to take on a workload that previously seemed insurmountable. More intriguing, though, was the role these pharmaceuticals played in their emotional transformations. Whereas they once found work uninspiring and trivial and approached it with a corresponding indifference, on ADD meds, they attacked their jobs with zeal. Colin’s turnaround was particularly extreme. The first month after he was diagnosed with attention deficit disorder and started on Vyvanse, he couldn’t not work. He routinely worked so late into the night that he’d miss the company shuttle home and have to take a cab. He started working weekends. Voluntarily. “Not because I felt pressured to, but because there was work that needed to be done, and if I didn’t do it, who would?” Colin says. Not once did Colin ever consider his professional ennui stemmed from the nature of the work itself. He never pondered whether he had chosen the wrong field; whether he would be happier and more motivated if he were to make a career change. When I pressed him on it, he said he had never imagined doing anything other than coding. “When I would daydream about what I’d rather be doing, it usually involved software engineering,” he tells me. Like Colin, Alek insisted that he was working in his desired field, but simply lacked the attention needed to accomplish its tasks. Anthony, a 26-year-old economics student, was on the verge of leaving his university before he started on Vyvanse. He used to seclude himself in his university’s chemistry library whenever he wanted to study, hoping it would compel him to concentrate on his work. But those sessions would devolve into him pulling medical textbooks off the shelf at random. Back then, he was a C student considering dropping out of college. Now, he has a 4.0 GPA and pursuing a career in academia. Vyvanse was “life-changing,” Anthony says, and the transformation was largely attitudinal. “Academics wasn’t really my thing at the time. The point was just to get a degree and finish,” Anthony explains. That changed the very first time he studied while on Vyvanse: “It was the first time I felt my studies were actually worthwhile.” Anthony didn’t think about switching majors or pursuing one of his many other interests, such as gardening. And now that he takes Vyvanse, he has ample motivation for the economics work he once found less interesting than a medical textbook arbitrarily picked off the wall. The hard part is weaning yourself off that source of ambition. Alek, Anthony and Colin all want to stop taking their prescriptions one day, but they all fear their work performance will deteriorate if they do. 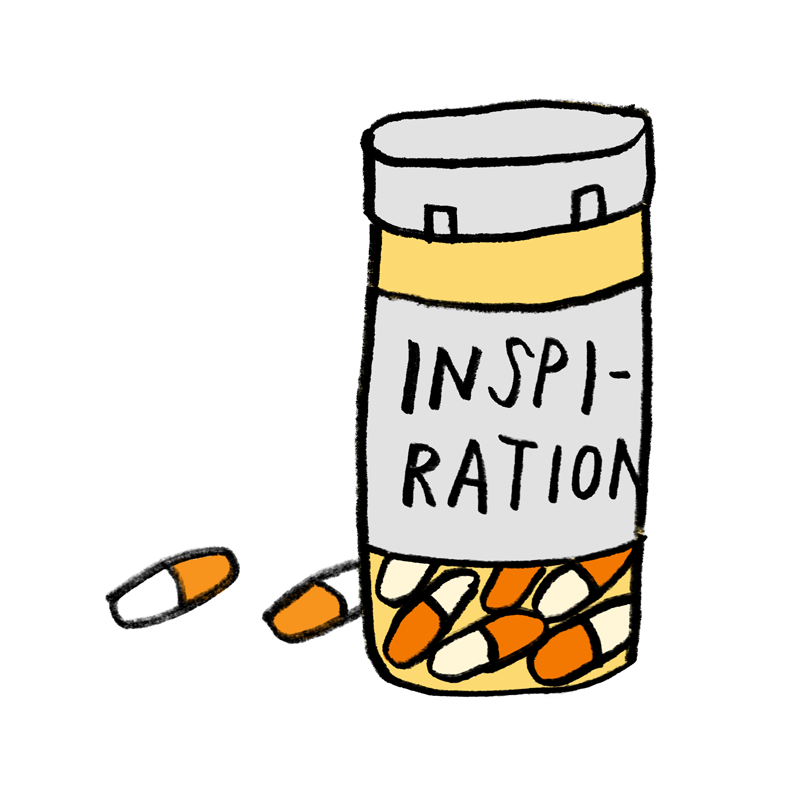 It’s an occupational psych catch-22: They don’t want their professional drive to hinge on taking a pharmaceutical everyday, but they feel too dependent on it to find out. If they do ever stop their prescriptions, they’ll probably realize that, in the absence of chemically induced enthusiasm, work is often not means to self-actualization — usually it’s just that: work. John McDermott is a staff writer at MEL. He previously wrote about a 7-foot football player who’s just trying to make the team.